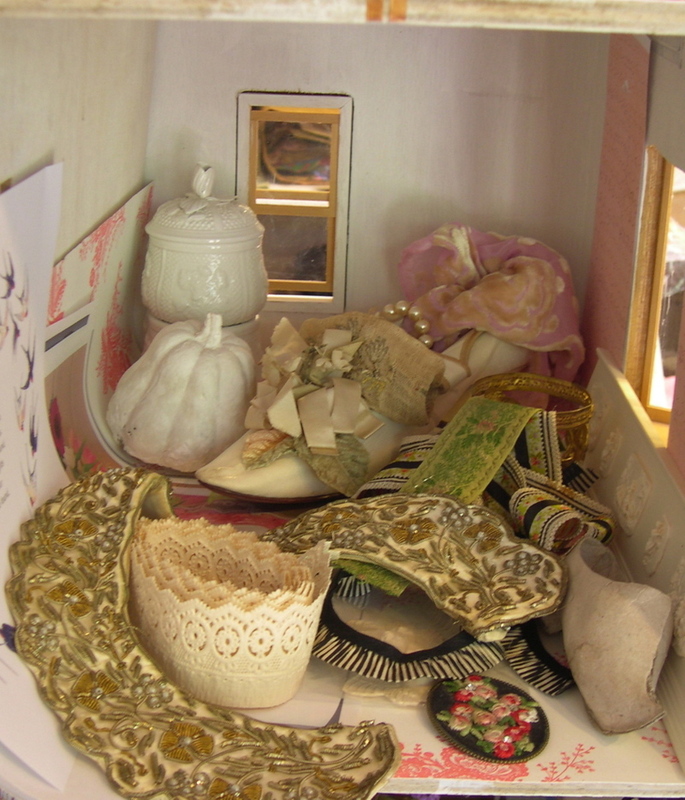 When I was out and about today, I had the wonderful opportunity to take direct inspiration from yesterdays post, and create a 'Marie Antoinette Cake Stand' just for the dollhouse! 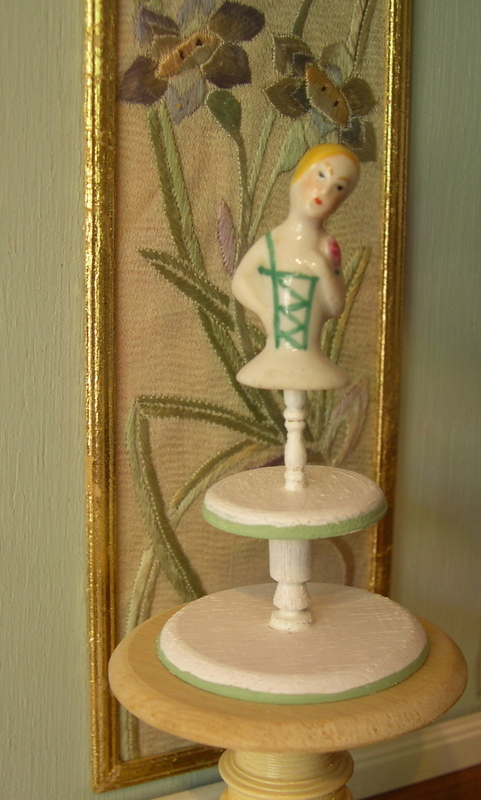 While brousing a local antique shop I found the tiniest little 'half doll' to use for the top. I hurried home and created the bottom from little wooden odds and ends I had laying around. Just needs a little varnish and it will be all done - Isn't it sweet? I can't wait to make mini 'petit fours' to lay all around it!